Memories are unreliable. That’s been Legion’s refrain from the very beginning, a promise that what you’re about to see can’t be trusted. It’s a story, just like the ones we tell ourselves about how last night’s date went, or what really happened in that sixth grade talent show, or what kind of person you believe yourself to be. The aggregation of fact, feeling, and interpretation of the past combines in your mind to trick you, to see patterns of meaning where there are none, and to assign space and time to events that may be radically other than you recall. There’s nothing reliable about our memories, which raises the more concerning question: If we’re nothing more than the accumulation of our past, is there anything reliable about our very selves? “Chapter 4” explicitly addresses the nature of storytelling, right from its opening sequence of Oliver breaking the fourth wall to address us directly. He explains we’re about to see a play in five acts, one that actually combines the two kinds of stories he describes. It will provide both empathy and fear, in other words. And that’s the push and pull at the heart of this cracked and brilliant show—to depict the struggle between empathy and fear that characterizes not only our efforts to connect with others, but that determines our own narratives, the ones we weave for ourselves from the raw materials of our histories and emotions. The problem is that people guided by fear don’t think that’s what’s happening. If anything, they think they’re aggressively seizing control of life, fighting back against what they view, rightly or wrongly, as the destabilizing elements that threaten them. The Eye doesn’t think he’s operating from a place of fear, even though he’s part of a movement that wants to either kill or control those it views as other than itself. People who want to build walls just think they’re being smart, even though fear is the only reason to build one. Even walls in the mind. It’s a maddening episode in some ways, but the more it unspools its elliptical reveals and unexplained phenomena, the more that madness starts to resemble brilliance. The show holds back from explaining certain things because to do so would cut against the very grain of the narrative structure it’s trying to build. 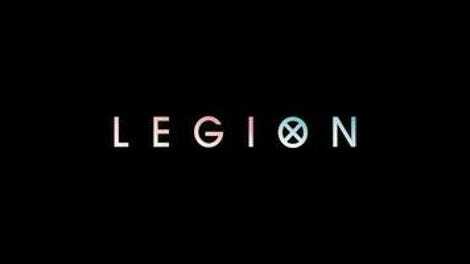 Legion can’t tell you why Kerry and Cary Loudermilk share a body, any more than it can explain how she manages to leave that shared space for hours on end. To do so would be to place a false story upon something that’s too messy for such tidy justifications. It would betray the honesty of the reality, just as David has falsified his own past by creating fake memories to supplant the real ones. David’s mind—indeed, his entire mental palace of memories—is a palimpsest, where the original inscriptions have been effaced to make room for the comforting presence of the false, but upon which traces still remain. He may not have actually had a dog growing up, as his sister tells Dr. Kissinger, but in hindsight, does it become real? It’s just a memory at this point—can he have the dog now? The traces of those real memories become the goal of Syd, Ptonomy, and Kerry, who search out the question of David’s true past by visiting the places and people they saw in his mind. “What was real? That was the mission,” Syd says, and the layered pieces of this story are such that the episode might be half over before the viewer realizes ”Chapter 4” is largely told from her point of view, David’s time on the astral plane notwithstanding. And the journey is one of realizing that, no, they can’t believe their eyes. The past is an illusion, just like Ptonomy tells them. The curtains are a different color. The World’s Angriest Boy isn’t just a story. And David’s therapist, who they seek out in the real world to find out just what it was David tried so desperately to hide, isn’t even the therapist. He’s the Eye, come to collect these mutants in the effort to hunt down David Haller. If our past is an illusion, it only stands to reason that our present can be, too. But David knows his present is an illusion. Even more so than normal, his current situation (trapped on the astral plane) is very much understood to be a product of his mind. As Oliver explains from inside his crystalline room, David is responsible for the battle being waged in his head. He’s at war with himself, and that yellow-eyed demon hunting him is at least partly his own fault—”a parasite,” Oliver terms it. Which means David is feeding it somehow, giving it strength. But that’s not the only puzzling thing. If everything there is only real because David makes it so, does that include Oliver? And even as David tries to power his way out of the situation, the knowledge that he is both responsible for his predicament and somehow mentally keeping himself chained there results in a scenario familiar to anyone stuck in a bind of their own making. Whether it’s a bad relationship or an astral projection, the same active choices that led us there can too easily keep us bound to it, unable to make the hard decisions. Enter Lenny. The imaginary “friend” has become something far different in “Chapter 4,” and it’s not just the startling reveal that David has conflated Lenny and Benny in his mind that offers a worrying new piece of information about his former junkie buddy. After last week’s menacing mockery of David, this time Lenny takes it even further, pushing him to lash out, thereby breaking free of the quasi-coma that kept him locked inside the astral plane. Her role is that of agent provocateur, the one who forces David outside of himself (literally, in some cases) and spurs him to actions both foolhardy (rushing to save his sister in “Chapter 3”) and necessary (teleporting himself in front of the truck to save Syd). But for a brief flash, Lenny and the yellow-eyed demon are one and the same. And come episode’s end, she’s literally the monkey on his back, guiding him to behavior in which he might not otherwise engage. “I got things to do,” she tells him, and what the nature of those things are remains unsaid. She needs him to act so that she can—sounds suspiciously like a parasite. “What was real?” The question repeats throughout the episode, as Syd turns over the pieces of David’s life in her mind, coming back to the same moments over and over: A scared child in bed, the swapping of bodies, the sun-dappled nature of his childhood spent roaming outside. It comes back when they’re probing his ex-girlfriend Philly for clues, only to learn about Benny, and an even more worrying surprise: “They’re watching,” Philly says, and suddenly, the world around them takes on as foreboding a quality as David’s memories. No wonder Syd has to ask Ptonomy whether they’re still stuck in David’s head. In a world where a friendly therapist can turn out to be the Eye, where Kerry’s vaunted fighting skills can end by being shot, and where the childhood stories of David’s past are haunting Syd in the present, the question of what’s real can’t be trusted to our own minds. Memories are unreliable. Welcome Jemaine Clement, former voice of the coffee machine, current possibly real/possibly imagined version of Melanie’s love, Oliver. Watching David try to use his powers to open the walls of Oliver’s crystalline room was far funnier than it had any right to be. Speaking of which, I’ll be curious to see just how linked the two Cary’s injuries are. They seem more or less bound, even in action. Feels important to acknowledge that Oliver was bummed to hear bras are back.